This system was visited for the first time on EDSM by Majkl on Apr 25, 2015, 2:42:07 AM. 654 ships passed through Bubble Sector LX-T b3-1 space, including 1 ship in the last 7 days. 0 ship passed through Bubble Sector LX-T b3-1 space in the last 24 hours. 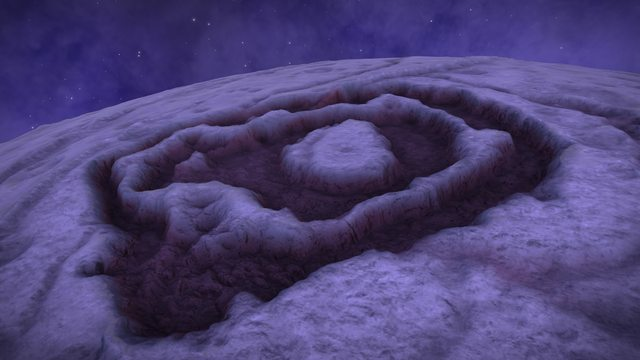 A natural fort formed from a pair of circular canyons on this planet, located within the Bubble Nebula. A very nice view from inside the Bubble nebula. 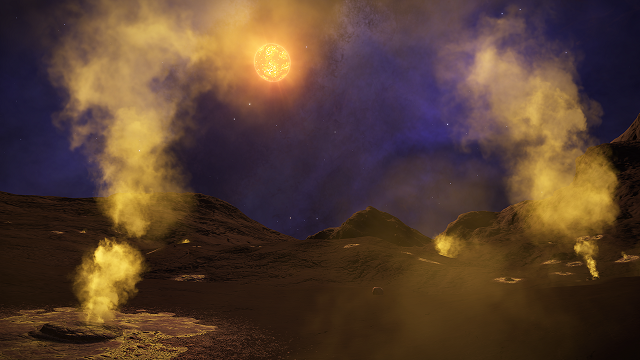 This picture has been take by "day light" but the "night side" of any landable planets inside this nebula also offers incredibles landscapes.